We can fight the good fight of faith by fleeing temptation, pursuing godliness and sharing the Lord with others. Ever since I became a Christian at seven years old, I’ve had a strong desire to live a godly life. 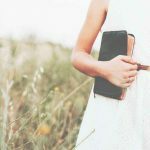 But my biggest battle has been taking hold of God’s promises and allowing their truths to move from my head to believing them in the deep places of my heart. That’s what I have to fight for. We can know the truth that God loves us but believing it is another thing entirely. 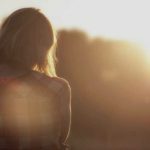 And so even though I fully understand that I’m saved by faith and not by works (Ephesians 2:8-9) sometimes I still feel this pressing feeling that somehow, I’m not enough. 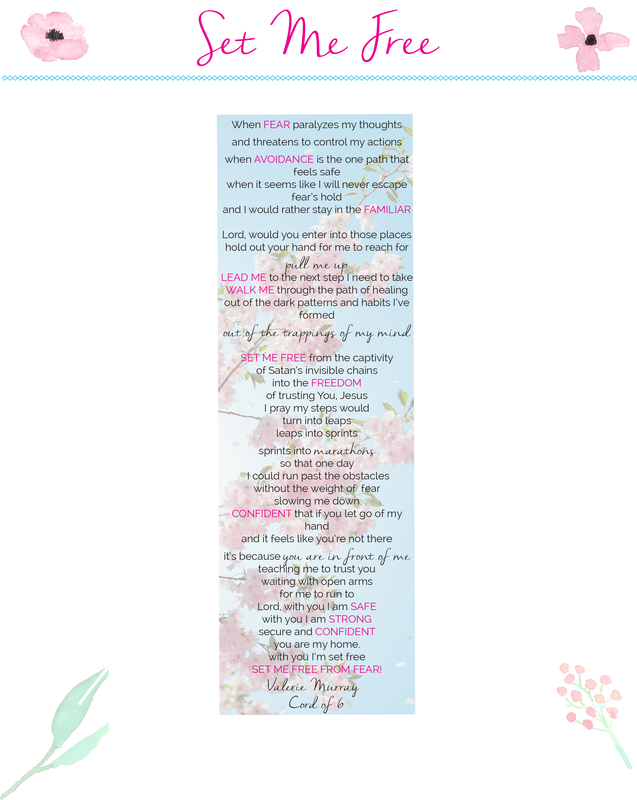 And so I’ve tried to prove myself to myself….by not messing up. Afraid of failing. Taking risks. Afraid of not being liked. And then there’s my fear of impending suffering. Afraid of sadness and pain. Accidents. Death. Losing loved ones. And the list goes on. A few months ago, we had our tree cut down in our front yard. For months, the grass looked the same with just a big patch of dirt where the tree used to be. But recently I went outside and thought the grass was covered in weeds. It looks like tiny trees are shooting up all over the lawn! New growth is sprouting from the roots of the tree. Fear is kind of like that. If we don’t take care of the root issue, it will continue to spread its roots and sprout up into areas of our lives where we don’t want it to be. 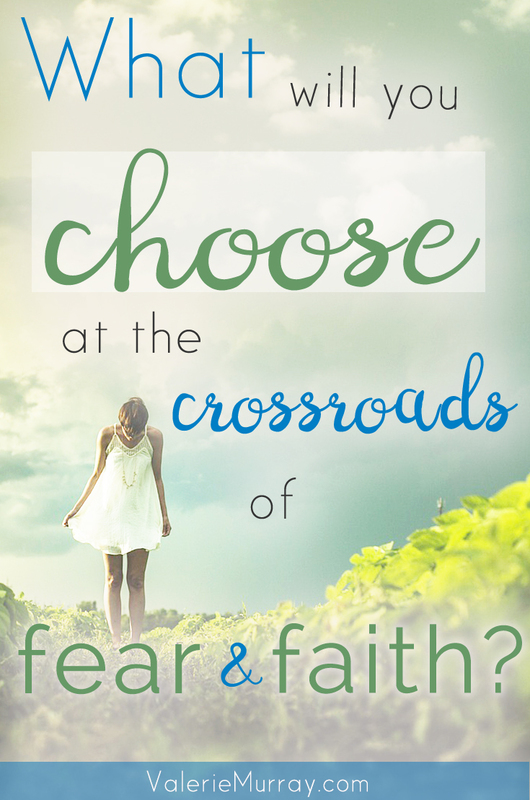 I believe one of the root issues of fear is doubting God’s immense love for us in our hearts. Until we truly accept His love, our fears are just going to shoot up from the ground and spread. So how do we get God’s love to reach our hearts? Sometimes, to help it along, we have to just get up and prepare for battle. Put our armor on. And fight. Once we start fighting the good fight of faith, we’ll begin to personally experience God’s grace and power through our weakness. When we experience God’s power and peace working inside us, His love then becomes real and tangible. When we start to experience that, we’ll not only feel the love we know to be true, but we’ll also get a taste of freedom from that ever-gripping fear. That’s because the Bible says that the truth shall set us free. And the living, loving, ever-present, omnipotent, perfect presence of God is that very truth that sets us free. 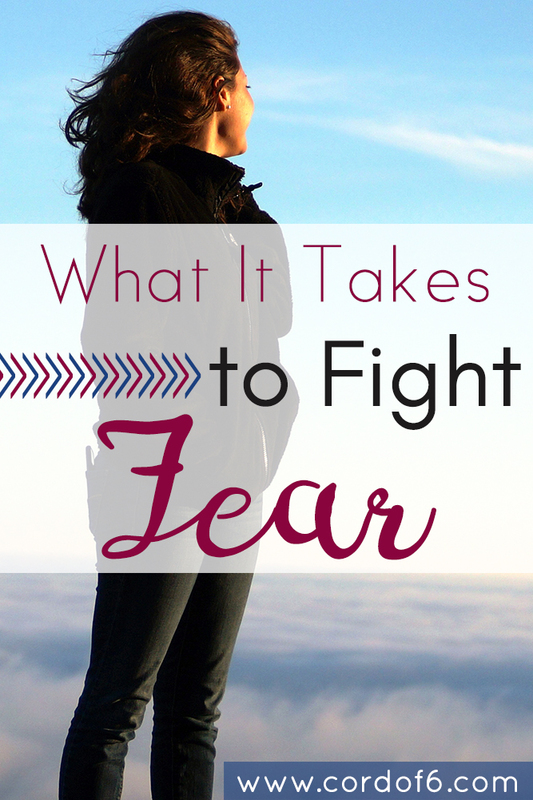 So what does it take to fight fear? It means we take action to do everything we can to allow the truth of God’s word to take hold of our hearts. Once we’ve made a choice to change, we need to have the determination it takes to put that decision into action. The Bible says if we draw near to God, he will draw near to us. He promises to answer us when we call to him. Turn your fears and worries into prayers to overcome them. He calms our anxious thoughts with His truth and peace. Praise Him ahead of time for his answers. Praising Him is trusting in His love by believing He will answer you. They say in order to form a habit it takes 30 days. Take your fearful thoughts and replace them with the truth of God’s word. Make it a habit and do it every day. We need to train our minds to think differently. That happens by replacing fear with truth. Surround yourself with a community of other believers. Battles are not meant to be fought alone. Romans 12:5 In Christ we who are many form one body, and each member belongs to all the others. Galatians 6:2 Carry each other’s burdens and in this way, you will fulfill the law of Christ. God shows His love for us through other believers! Are you afraid of the unknown? Sudden disaster and loss? Failure? Rejection? We have the power of God on our side. He is our strength. We will always have His love! Romans 8:28 tells us that NOTHING can separate us from the love of God! We don’t have to earn it. We don’t have to be enough. And we can never lose it! We can make mistakes. We can fail. We can be disliked by others. But God’s love, His perfect love prevails. He forgives us for every sin. He knows we’re not perfect, and that’s why Jesus went to the cross! Striving to be perfect and striving to be like Christ are two different things. We strive for perfection in order to make ourselves feel better. We strive to be holy because the love of God spurs us on to want to share His love with others by reflecting His image. We should continue to fight against our sin nature but we must rest in the fact that Jesus is enough! We can let the love of God pour over us and can take hold of his grace. Nothing we do could ever make us good enough because sin has tainted even our best efforts. And that’s ok because the blood of Christ makes us perfectly clean before God. And now we can approach the throne with confidence. That’s his love pouring over us. Friends, let’s take hold of it together! How about you? Has the depth of God’s love for your reached your heart? 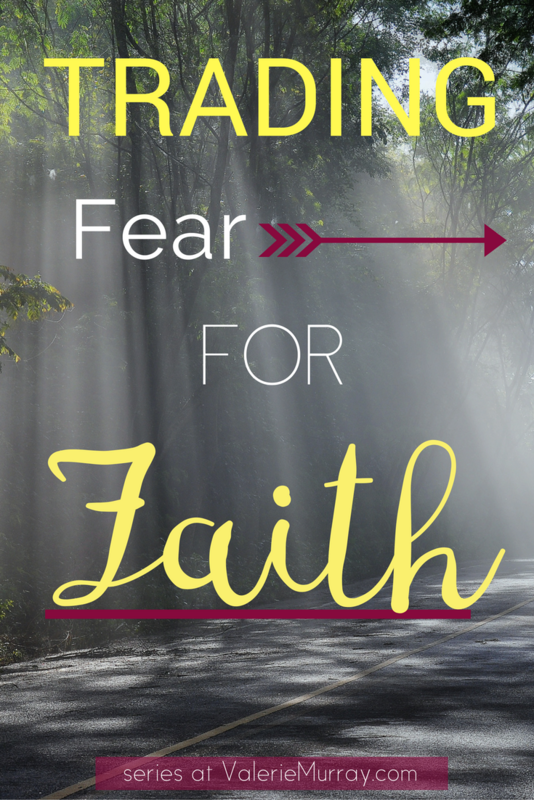 I’m so glad you’ve joined during this series, Trading Fear for Faith. Over past few years I’ve been taking active steps to face my fears. I’ve learned so much about what it truly means to live in the freedom of trusting Jesus and not allow fear to control my life. You can check out previous posts below. 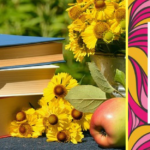 Follow the Facing Fear Pinterest Board! Follow Cord of 6's board Facing Fear on Pinterest. 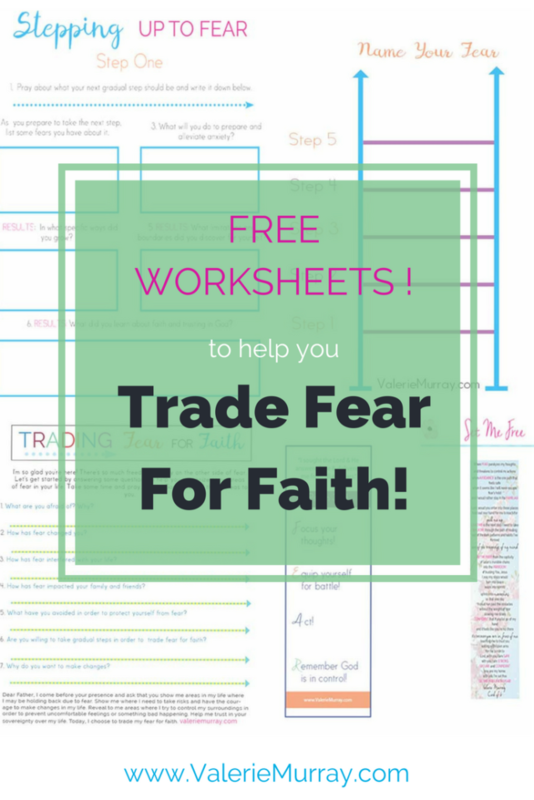 You can download free worksheets to help fight fear by signing up below. 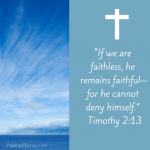 When My Faith is Weak, God Remains Faithful! I appreciate your honesty and transparency, Valerie! We feel so alone when we believe we are the only ones who experience fear. It is so good to share these things with each other for when we do, we can join forces and fight together! Thanks for sharing on Grace and Truth, Valerie. Aimee, I agree! 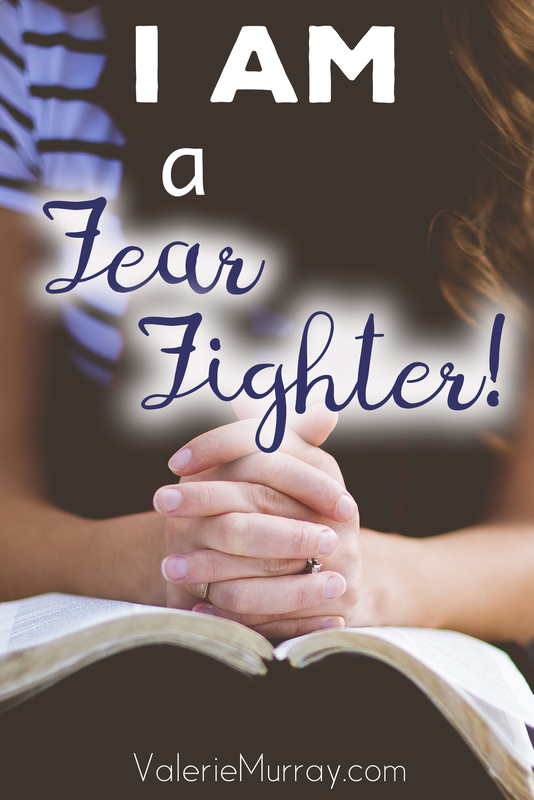 It’s so comforting to learn that you’re not alone in the fight against fear. We’re all in this together loving and supporting one another in prayer. You’re right, friend. We doubt God’s love for us. I think that’s the underlying reason for fear too. 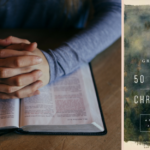 Have you ever read The Attributes of God by Tozer? I know I talk about him all the time, but seriously, that book has helped me understand Him and learn to trust more fully. Great wisdom here, friend. I heart you! 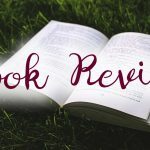 I just read a book called Real God by Chip Ingram that talked about God’s attributes. He referred to Tozer a lot and so now I want to read that book too. I think learning God’s attributes is vital in learning to trust in Him. Valerie- you write about fear so well!!! My fear is not being good enough. :-( I fight through it, butit’s hard!! 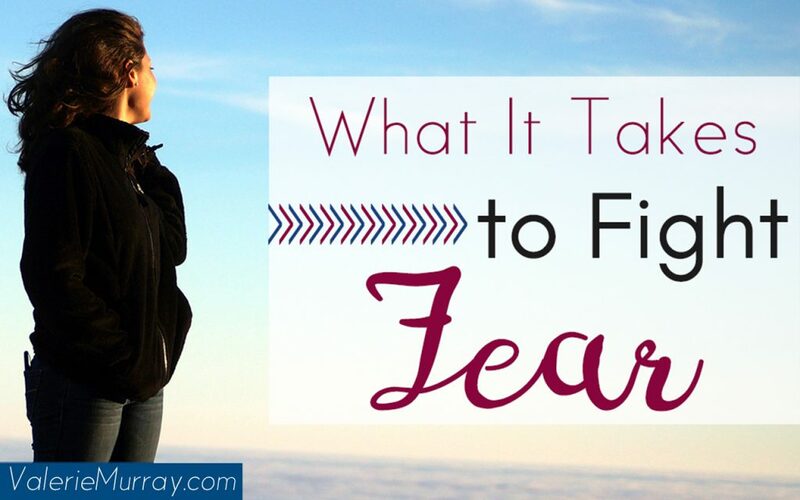 Yep, I think that’s a fear we all deal with–feeling not good enough. I just read a book called, Nothing to Prove that was about feeling “not enough.” She said we don’t have to worry about being enough because Jesus is enough. Thank you so much for this. You keep pointing me back to that place where I remember the blessing of living without fear. You’re blessing me!! You bless me too Deb. You inspire me to live fearless. 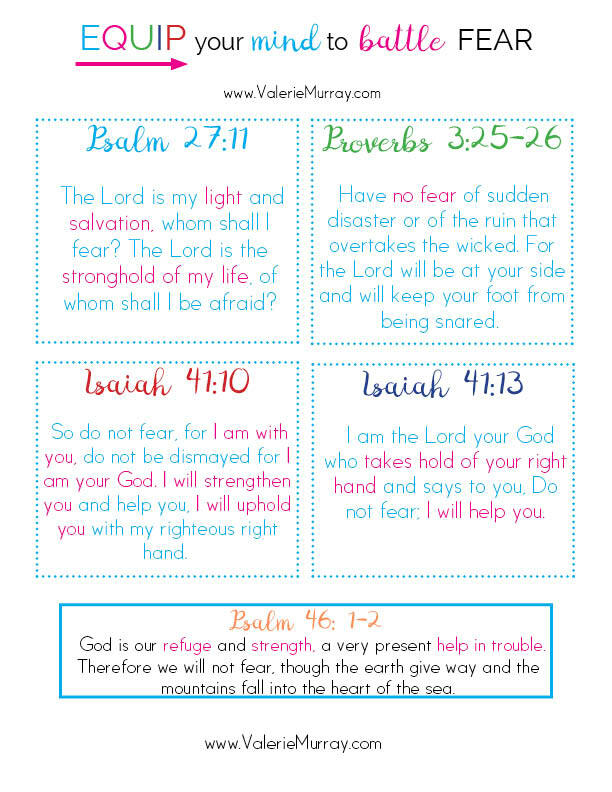 So encouraging- fear can be so consuming and definitely a battle. Love these tips! The fear I fight is the fear of not being good enough as a writer. And I hate it because I know it’s just Satan. Thank you so much for this encouragement Valerie! Yep, that has to be satan because you’re a great writer and your writing is blessing others for the kingdom of God in a huge way!love you! These are great, practical tips. Thank you so much for sharing. Thank you for visiting Heather! 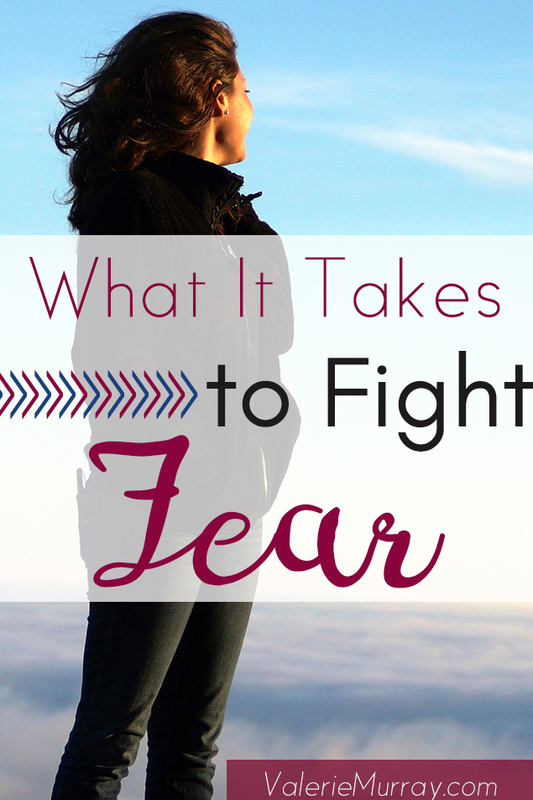 Fighting fear is something I’ve been doing for all of my life, too. It’s a daily thing. You’ve offered some great advice here, Valerie. Thank you for your wisdom. Hi Dawn! Yep, it’s a daily thing. It’s always nice to talk with friends about it and support one another. 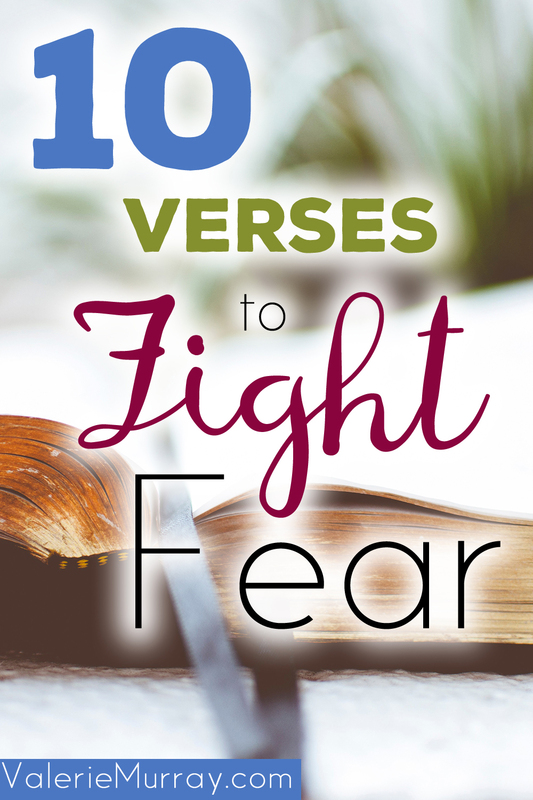 Fear is certainly not our friend, and it is a defeated enemy in Him, isn’t it. 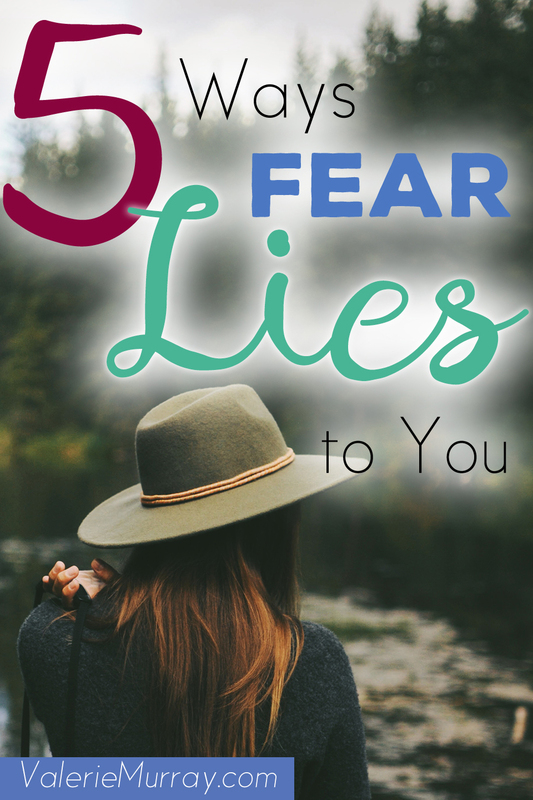 I am going back to your statement that fear is doubting God’s immense love. I remember when a friend very boldly put me on notice with a comment much like that, though your words are a little more grace-full. 🙂 But sometimes we need to speak bold words so that we hear true words. She just reminded me that I had a death grip on something that belonged to Jesus and I needed to let go and trust God. I need to be reminded of that often, but I am so glad He is always patient to lead me into His truth. Yes, I love your words! Sometimes I too have a death grip and have to release it all to Jesus and trust that He loves me enough to take care of it! Thank you for sharing!